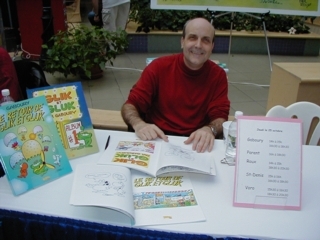 Canadian Comic Book Creator Hall of Fame 2010 Inductee: Serge Gaboury from Jill Leger on Vimeo. Serge Gaboury was born in Quebec in 1954. 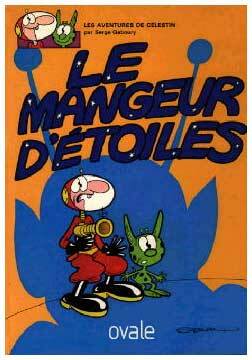 By the time he studied Graphic Communication at Laval University, he had already published strips in the Peuple-Tribune and was drawing cartoons for the university’s newspaper. 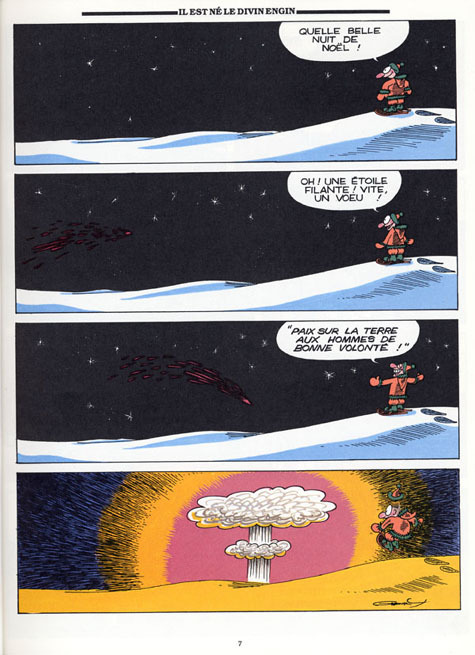 Despite a rise in awareness and recognition of Québec culture during the seventies, the province’s indigenous comics scene was still struggling to find itself when Jacques Hurtibise founded Croc magazine, a hybrid of Quebec comics and satirical humour that became a leading showcase for Quebec’s top cartoonists. Gaboury joined the Croc team in 1979 and never looked back, contributing strips throughout its legendary run. 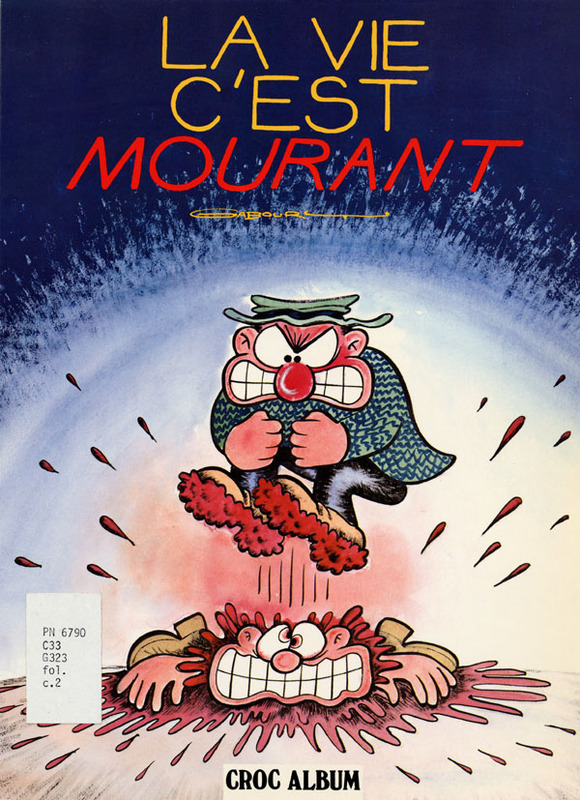 Since then, Gaboury strips have appeared regularly in comic magazines like Safarir and Les Debrouillards while his cartoons and caricatures appeared in publications as diverse as the Journal de Québec, Le Devoir, Le Soleil and 7Jours, and La Terre dé Chez Nous (Quebec Agricultural Producer’s union newspaper). 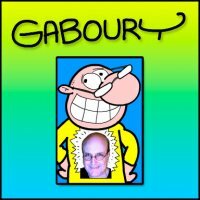 Gaboury’s animation work has appeared on Radio-Canada and the Canoe website. 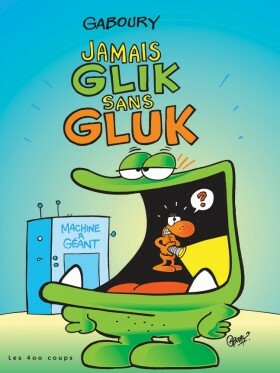 In the last decade Gaboury’s popularity and renown has only increased with the publishing of his award-winning Glik and Gluk collections. At one point, along with all his comic work, Segre was also designing all the floats for night parade of the Quebec Winter Carnival. It’s easy to dismiss exceptional, consistent output like that. After years of incredible basketball, we take a Kobe Bryant 50-point night for granted. Because someone that good is no longer measured in normal terms. They’re only measured against themselves. That is Serge Gaboury’s legacy. Artist Gabriel Morrisette calls Serge the best gagman in the business and mentioned an old joke about Gaboury, who did comics for every level of government at one time or another except one the Ministry of Revenue, because he works for them every time he does a job. Artists and fans admire Gaboury’s versatility – from his caustic humour in Croc and the Lewis Carroll-like adventures of Alys in Titanic to editorial caricatures and children’s books like the funny bees of Zzzzzoé (pronounced hEY!) 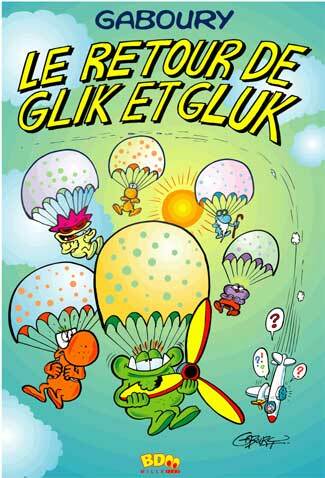 and his well-known Glik and Gluk series. Morrisette also points to Gaboury’s generosity with his technical expertise. He was one of the first to move to digital colour and helped teach Gabriel when he needed to learn it for a job, fast. In terms of sheer output, Gaboury is amazingly prolific – the Jack Kirby of Quebec comics, constantly working to support his family. Just since I started this speech Serge has already finished another Glik and Gluk collection, an ad for Quaker Oats and a graphic novel about the history of the pogo stick while sitting in his seat. I was surprised to find there are very few Serge Gaboury anecdotes. Because the dude never goes anywhere. He’s always at working. A dull life? Maybe… but never dull on the page. Gaboury’s cartoony style sometimes gets taken for granted too but it’s very effective and he is highly regarded by his peers. Pierre Fournier tells tales of everyone at the Croc office gathering around when Gaboury’s artwork came in and laughing out loud at his pages. Even an artist like Henriette Valium, whose extremely underground work is miles from Gaboury’s, used to buy kid’s magazines to read his Glik and Gluk and was terrified to meet the talented Serge in person. As you’ll soon see, Serge is in no way terrifying so that says a lot. By the way Serge, Pierre requested that I relay a message to you. Usually he meets you at the Quebec Book Fair so you and your wives can catch up. This year Pierre couldn’t make it. He assures me that IS because he’s avoiding you, as you suspected. Actually he wants you to know he owes you a get together. Fellow Shuster Hall of Famer Jacques Hurtubise did share one anecdote. Croc magazine was the most important Quebec humour/comics magazine of its day. And rival magazine Safarir (or Saf) was very competitive. So when Croc magazine folded, they quickly moved to scoop up three key Croc artists: Pierre Fournier and Real Godbout, who didn’t last, and Serge Gaboury. The Editor-in-Chief of Saf was bragging to Gaboury about the advantages of working for them over Croc and assured Serge that they would never make him draw bloody and violent strips like Croc had him do. Serge happily replied, “They were not forcing me. I love to draw bloody and violent comics!” Dull life? Never on the page. We are seeing a slow evolution in English Canadian comics. Where once there was a great divide between comic books, comic strips, comic albums, animation, caricature and graphic art, creators are coming to see the link between all these forms. In Quebec that is how it has always been. The meaning of the term “comics” is vast and broad thanks to the versatility of pioneering artists like Serge Gaboury. Gaboury fans were able to find his work not just in comic magazines, but also in newspapers, on TV and in advertisements. The examples set by Gaboury and his peers like fellow Joe Shuster Hall of Famers Jacques Hurtubise, Real Godbout and Pierre Fournier inspired a new generation of creators to view comics as an art form with no boundaries. For over thirty years Gaboury has been a force for Canadian comics in Québec with consistently enchanting, engaging work and we are proud to induct into the Joe Shuster Hall of Fame. 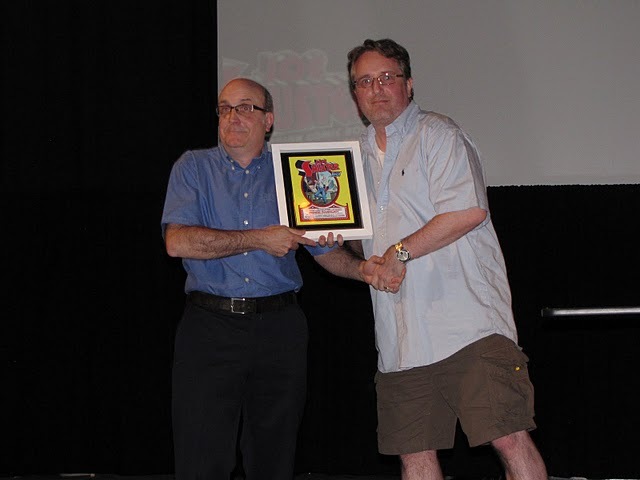 Serge Gaboury presented his Hall of Fame Plaque by Robert Pincombe - June 5, 2010. Photo by Jamie Coville.